Died along with 4 students in his Elementary German class. Hear Pam Fessler Report on How Jamie Bishop Is Being Remembered in His Hometown of Pine Mountain, Ga. Submit your personal remembrance for posting here (please include your name and relationship). He Talked About "Changing the World with Art"
Jamie Bishop was thrilled to move to Blacksburg two years ago when Virginia Tech hired him to teach German. "He was really excited about his job when he came up here," said Tim Mullins, a senior graphic designer for university relations at Radford University. When he wasn’t teaching, Bishop spent much of his time creating science fiction art. It was passion he and Mullins shared, and they became friends after they met at a science fiction convention in North Carolina in 2002. Bishop’s interest in the genre likely came from his father, Michael Bishop, an award-winning science fiction author. Bishop had hoped to use his art for a greater cause. "We used to meet at his place ... to talk about art and about changing the world with art," Alex Wilson, an actor and artist friend of Bishop’s, wrote on his blog Tuesday. Wilson, 30, lives in Carrboro, N.C., where Bishop lived and worked as an academic technology liaison at the University of North Carolina at Chapel Hill before moving to Blacksburg in 2005. By all accounts, Bishop grew fond of the New River Valley quickly. "He liked Carrboro, but I think he loved Blacksburg," Wilson wrote. Other friends described Bishop as an outgoing teacher with a good sense of humor and a wealth of creative talents. "He was extremely nice and open and compatible," said Amherst artist Daniel Trout, 54, who first met Bishop at a North Carolina art show four years ago. "He was just a very exuberant person about what he was doing." Bishop and his wife, Stefanie Hofer, who is also on the German faculty at Virginia Tech, owned a home in Blacksburg not far from campus. When he wasn’t teaching, Bishop spent much of his time taking photos, designing book jacket covers and creating science fiction and other multimedia designs that he displayed on his personal web site. He worked meticulously on those projects. "He wasn’t going to do something unless he could give it the time to do it right," Wilson wrote on his blog. According to Wilson, Bishop had planned to apply for a masters degree program in photography and graphic design at Radford. "He really liked doing his art," Mullins said. "I think it was more than a hobby to him. He was really passionate about it." According to witnesses, Bishop was teaching an introductory course in German Monday when he was shot to death in his classroom in Norris Hall. His friends are still trying to comprehend the tragic incident. "I just got off the phone, and I can’t stop crying. One of my best friends, Jamie Bishop, has died," wrote Jason Lundberg on his blog Tuesday morning. "I can’t believe this has happened." Bishop grew up in Pine Mountain, Ga., a small town south of Atlanta. He earned a bachelors degree in German studies in 1993 and a masters degrees in German linguistics in 1998 from the University of Georgia. He was a Fulbright Scholar at Christian-Albrechts-University in Kiel, Germany in 1993. An avid hiker and Atlanta Braves baseball fan, Bishop also worked as a summer intern at the Pentagon in Washington D.C. in 1992. Bishop spent four years on and off living in Germany, where he worked as a freelance translator, German tutor, and teacher of English in Heidelberg. At Virginia Tech, Bishop also taught classes in Web site development and other computer and online related courses. "I met Jamie on several occasions. He was an exceptionally nice guy and a talented artist," wrote Brent Cox on his Web site. "One of his original artworks hangs on our living room wall." Bishop’s parents, Michael and Jeri Bishop, still live in Pine Mountain. 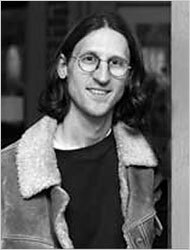 Michael Bishop wrote the Nebula Award-winning novel "No Enemy But Time" and the Mythopoeic Award-winning fantasy novel "Unicorn Mountain." His career spans almost 40 years. Besides novels, he’s a prolific short story writer, poet and essayist, and is viewed as one of the science fiction field’s literary lights. His fiction has been reprinted in the Best American Short Stories anthology series. Cox wrote that he has known Bishops’ parents for "what seems like forever. I am sad beyond words," he said. "And my feelings are nothing compared to those of Mike and Jeri, and all the other families who lost someone yesterday." A 35-year-old German instructor who was known as Jamie, he received his bachelor's and master's degrees in German linguistics from the University of Georgia, in Athens, and then attended Christian-Albrechts University in Kiel, Germany, on a Fulbright scholarship. During four years in Germany, he wrote in a journal on his Web site, memory39.com, he "spent most of his time learning the language, teaching English, drinking large quantities of wheat beer, and wooing a certain fraulein." The fraulein, Stefanie Hofer, became his wife. She teaches in Virginia Tech's German department, too, but was not injured. His father, Michael Bishop, a science fiction writer, and his mother, Jeri, live in Pine Mountain, Ga.
Fulbright scholar. Teacher. Artist. Technologist. Husband. Friend. Christopher James "Jamie" Bishop seemed equally gifted in varied fields. Bishop, 35, was a German-language instructor, who admired René Magritte's paintings and met his wife while teaching English in Germany for four years. "His wife was everything to him," said Jacques Morin, a close friend and former colleague at the University of North Carolina-Chapel Hill, referring to Stephanie Hofer. "It was like he had just met her for the first time each day." Hofer, a German professor at Virginia Tech, was uninjured in the shootings. A native of Pine Mountain, Ga., Bishop was valedictorian of Harris County High School. He was an academic technology liaison at UNC-Chapel Hill from 2000 to 2005 before going to Virginia Tech. "He was the kind of person who made a visit from your computer tech a happy experience," said Clayton Koelb, chairman of the UNC Department of Germanic Languages. He said Bishop had "perpetual optimism." Koelb says Bishop talked his way into the computer job without formal training so he could join his wife at UNC, where she was earning a doctorate. "He was a born teacher," Morin said, "and he died doing that." Christopher James "Jamie" Bishop, a German instructor slain in Norris Hall, lived an "action-packed 35 years," a former teacher says. Bishop, who wore his hair in a ponytail and was an avid amateur photographer, had been a Virginia Tech faculty member since 2005. His wife, Stefanie Hofer, is an assistant professor of German there. Bishop completed his bachelor's degree at the University of Georgia in 1993, then was a Fulbright scholar in Kiel, Germany. He lived abroad for four years before returning to the University of Georgia to earn his master's in 1998, according to his personal Web site. Of his time in Germany, Bishop wrote on his site that he "spent most of his time learning the language, teaching English, drinking large quantities of wheat beer and wooing a certain Fraulein." News reports said the reference was to Hofer. Calls to their home were unanswered. The bespectacled Bishop, who referred to himself as Herr Bishop at Virginia Tech, grew up in Pine Mountain, Ga., and was valedictorian of Harris County High School, where he was on the tennis team. He was active in the art club, science club and debate team, said social studies teacher Gail Sheppard, who taught Bishop and his younger sister, Stephanie. "Jamie lived 35 years, and I guarantee it was an action-packed 35 years," Sheppard said. The Rev. Matthew Mitchell, pastor of First United Methodist Church, which Jamie Bishop attended as a youth, said Pine Mountain is a small community of 1,500 people. The Bishops live three blocks from the church, and the family walked to church on pleasant days, he said. Michael Bishop, Jamie's father, is the writer-in-residence at LaGrange College, the oldest private college in Georgia. He has published more than 30 books of science fiction and fantasy literature, including "Brighten to Incandescence," a collection of short stories for which his son designed the cover art. Jeri Bishop, Jamie's mother, is a counselor at Rosemont Elementary School in LaGrange. LaGrange College President F. Stuart Gulley issued a message yesterday saying that like many higher education institutions, the college would review its emergency policies. "Such tragic and senseless loss of life is a reminder that much in life is random and cannot be fully anticipated, let alone understood," Gulley said. "Even the most carefully crafted and practiced security plan cannot guarantee our safety when there are those intent on doing such incomprehensible harm." Mr. Bishop grew up in Pine Mountain, Ga., and earned his B.A. in German from the University of Georgia. Afterward he traveled to Germany as a Fulbright scholar, where he studied early and ancient history and archaeology. He returned to his alma mater to earn an M.A. in German. But he took a detour, he says in his online journal, back to Germany for four years to improve his linguistic skills, teach English, become a connoisseur of wheat beer, and woo a certain Fräulein, Stefanie Hofer, who later became his wife. Ms. Hofer also teaches German at Virginia Tech. Mr. Bishop was just as passionate about art as he was about German. He was a multimedia artist and photographer who appreciated comic-book covers by Dave McKean, one of his artistic superheroes. Mr. Bishop designed covers for many books by his father, the novelist and short-story writer Michael Bishop. The elder Mr. Bishop is a writer in residence at LaGrange College, in Georgia, where he teaches creative writing. “He wasn’t going to do something unless he could give it the time to do it right, and the proof is in the work,” Mr. Wilson says. In December, Mr. Bishop built a coffee table composed of 72 wooden tiles that he had cut and individually painted. “He called it one of the most creative things he’s ever done,” says Mr. Wilson. Mr. Bishop was an Atlanta Braves fan and an excellent racquetball player, friends say. He enjoyed hiking and going to the movies. He had recently applied for an M.F.A. program in photography and graphic design at Radford University. “He was just an all-around fascinating person, which is obvious, if you take a look at his artwork and all of the areas of education he pursued,” says Holly Boatright, who grew up close to his family and attended First United Methodist Church of Pine Mountain, where Mr. Bishop was still a member. Jamie Bishop, beloved husband, devoted son, gentle colleague, and generous friend, died at the age of 35 while teaching introductory German. Although his courses were legendarily rigorous, “Herr Bishop” was popular with students as he was always available to give whatever individual attention they needed to succeed. Jamie was a fun-loving but no-nonsense man; easy-going but passionate about the environment, nature, art, and teaching. Tall and thin, with a striking long ponytail, Jamie regularly cut his hair to donate it to Locks of Love. Jamie moved to Blacksburg in 2005, when he and his wife, Stefanie Hofer, both joined the faculty in the Department of Foreign Languages and Literatures. Jamie also worked as an instructor for the Faculty Development Institute. Before moving to Blacksburg, Jamie lived and worked as an academic technology liaison at the University of North Carolina at Chapel Hill. Jamie had a reputation as a techno guru and a passionate and gifted photographer. His art vibrantly captures the intensity with which he viewed the world and the beauty he found there. Jamie also designed book jacket covers and created multimedia science fiction art, an interest likely cultivated by his father, Michael Bishop, an award-winning science fiction author. Jamie had planned to enter the B.F.A. program at Virginia Tech in fall 2007 to study graphic art. Jamie hailed from the small town of Pine Mountain, Ga., and earned bachelor’s and master’s degrees at the University of Georgia. He interned at the Pentagon in Washington, D.C., and then spent many years abroad. As a Fulbright Scholar, he studied at the Christian-Albrechts-Universität in Kiel, Germany, and also worked as a freelance translator, German tutor, and teacher of English in Heidelberg. A man of keen wit with a contagious enthusiasm for life, Jamie was an avid hiker, film connoisseur, and devoted fan of the Atlanta Braves. Jamie shared the conviction that studying foreign languages and cultures is not only a joy but also fundamental to learning about and understanding humanity. Through the Virginia Tech Foundation, the Christopher James Bishop Memorial Scholarship has been established at Virginia Tech in his memory. For more information and/or to donate to this memorial fund, see VT's Hokie Spirit Memorial Funds page.